Stuff Kimmy Likes: Ten Years On. I'll not forget, and couldn't, even if I wanted to. On September 11th, 2001, my eventual husband, Brian, and I lived in Alexandria, Virginia. Brian was in our bedroom, getting ready for work. I was up and on the computer in our guest room, drinking coffee and reading the Sweet Potato Queen's Messageboard of Love, as I did many mornings. At what must've been about ten till nine, a new thread popped up on the site that said a plane had hit the World Trade Center (written by a queen named Scarlette, if I'm not mistaken). "TURN ON THE TV," it said. "NOW." I hurried into our room and turned on CNN. There was Aaron Brown, delivering the news of this baffling accident, with the Twin Towers in the background, smoke billowing out of the North Tower. Like so many, I couldn't comprehend what I was seeing. What kind of idiot pilot couldn't avoid hitting the WORLD TRADE CENTER? Had an amateur pilot lost control of his aircraft, after having had a heart attack or something? It was as perplexing a live image as I've ever seen, before or since. I was glued to the TV, looking to Aaron for updates and explanations as to what was going on. We watched it all unfold in confusion as Brian continued getting ready to go to work at his office in downtown DC. But just after 9am, confusion turned to fear, as we watched with the world as the second plane flung itself, with all its might, straight into the higher middle floors of the South Tower. I've still never seen anything so shocking. It was simply unfathomable. But what became absolutely clear as the second plane hit was that this was no accident at all. Planes were deliberately flying into the Twin Towers of the World Trade Center, and people were surely dead or dying. Someone was using actual jet airplanes in suicide attack missions. Against us. On our soil. In New York City, home of the heartbeat of this country. At 9:37, as we watched the news, the strangest thing happened. Our three-story townhouse shook abruptly for about a second or so, as if a large truck had run into it, head-on, at full speed. I screamed, and Brian and I instinctively ran to the windows to see what had hit us. I will never forget the image of what I saw from my vantage point-- absolute, utter stillness and quiet, under one of the most beautiful, blue, early fall skies I had ever seen. Brian saw nothing from where he looked, either. In that moment, I instantly felt insane. Terrified with confusion, I said, "but you felt it, right? You DID JUST FEEL THAT, RIGHT?!!" He had felt it, so if I had lost my mind, either he had lost his, too, or my mind was telling me that he had. I wouldn't know for ten more minutes. Shaken, and even more baffled, I turned my attention back to the TV. Aaron was talking with someone who had called in from Florida, I think, to report on President Bush's whereabouts and next steps in responding to the tragedy. After a couple of minutes, the footer on the screen said something about reports of a fire at the Pentagon, but Aaron wasn't saying anything about it. It seemed like forever before it was addressed, though I'm sure it must have only been a couple of minutes, at the most. Someone called in from the Pentagon, and reported that there was, indeed, a fire there. The reporter, who had just driven into the parking lot, hadn't heard anything, and could not determine what had caused the fire. Aaron next said there were reports of a fire on the National Mall, and the footer on the screen matched this news. There were reports that the Capitol and White House had been evacuated. Every minute, it seemed as if there was a new piece added to what was becoming the DC part of the puzzle, each one increasingly frightening. Finally, around 9:47 or so, Aaron took a call from Greta Van Susteren, who was at Reagan National Airport, four miles away from our house. She said she had come in from New York and was in the parking lot leaving the airport when she heard a large explosion. She could see smoke coming from the sky in the area of the Pentagon. I looked at Brian and said, "that's what it was, Brian. I know it sounds crazy, but that's what we just felt." Sure enough, when the specific timeline came out, it was confirmed. Somehow, from seven miles due south, we had felt the impact of the explosion caused by American Airlines flight 77's crash into the Pentagon. That moment of realization shifted everything about my perspective. The horror of images I'd seen in that last hour immediately became more real. My fear for our personal safety became rational; we lived in a city under attack, in a home not far from the first target. I told Brian there was no way he was going downtown, and I didn't care what anyone said about it-- it just was not happening. His office was in the same building as the Passport Office. There was no way to know what the terrorists planned to do next-- could they do something to the Passport Office, in order to prohibit US Citizens from leaving the country? My imagination had clearly been outmatched by these lunatics-- they had thought to use airplanes as missiles, after all-- so it was easy to get carried away, thinking "outside the box," as the terrorists had, about the possibilities of what could come next. Thankfully, he stayed home, and, as we all know now, the Passport Office was not attacked. As I live this day, ten years past the one that shook the United States to its very core, I am revisited by the grief that came with this tragedy. The anger brought about by such unrelenting violence toward the country I love. I see those familiar, terrifying images, and the barrage of emotions I felt as I watched them happening comes flooding back. My brain hasn't forgotten what I saw, and my heart clearly hasn't forgotten what it felt. But what my heart also remembers is that this incomprehensible act of terrorism against us was the catalyst for the most profound unity I've ever felt in this country. It was palpable in the DC area, and I felt it in the community in subtle ways. Whether at the grocery store or in our neighborhoods, among strangers or those close to us, with the like-minded or those having the most opposing views, there was a change in tone. A difference in the energy within and surrounding us. I could feel a relaxing of the grip with which many of us, collectively and individually, had held onto unimportant things. We now shared an unspoken bond-- a knowing familiarity, somehow. An understanding of one another-- I didn't watch it with you, but I am here with you now, and, like you, I am changed. This bond stemmed from the love we have for America, and the pride we shared in being US citizens. There was also a profound affection that grew for the City of New York, and the grace, bravery, and dignity with which their community handled the horror of that day and all that came with it. Brian and I had been given "I [heart] NY" t-shirts as gifts the previous year, and I pulled mine out and purposefully, proudly wore it almost every day. For me, September 11th, 2001 was the day the United States became Our United States. United, indeed, by tragedy, but more profoundly by love, perseverance, and the grace of a future that we all, as survivors of those who had perished, had been given. This unity is what my heart most clings to about that day. Countless things have changed for us all since then, individually and globally. In the US, many things are often regarded with a label of either "pre-9/11" or "post-9/11." Unfortunately, most of the unity I felt in the time that followed 9/11 has gradually disintegrated into what I perceive as more of an uncomfortable, defensive "Us and Them" atmosphere. I don't know if, as a country, we'll ever get past it and back to a similar sense of community and shared purpose we had ten years ago. I hope we do. I believe it's not something for me to worry about, but to consider and be mindful of as I make choices in my life. As I want unity, I shall approach the world with an attitude of unity. There can be an Us without a Them, and I believe that's just what we are. All the world, Us. 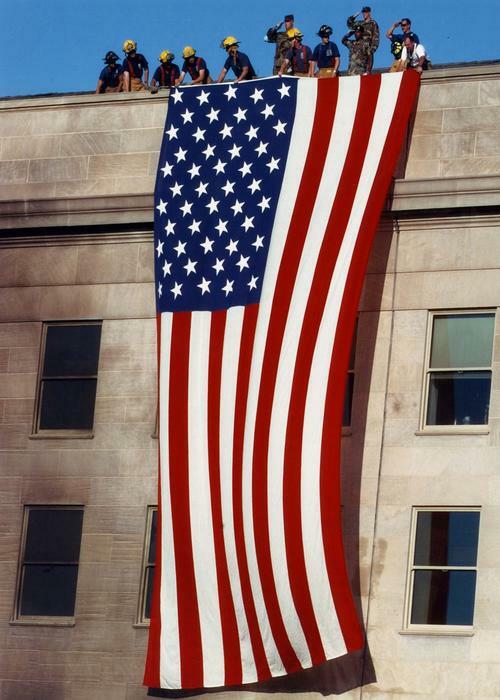 Today, I honor those of Us who were lost on September 11th, and I cherish the Us they left behind. Wow... this was so well written and expresses how many of feel also. Thanks for sharing your story.